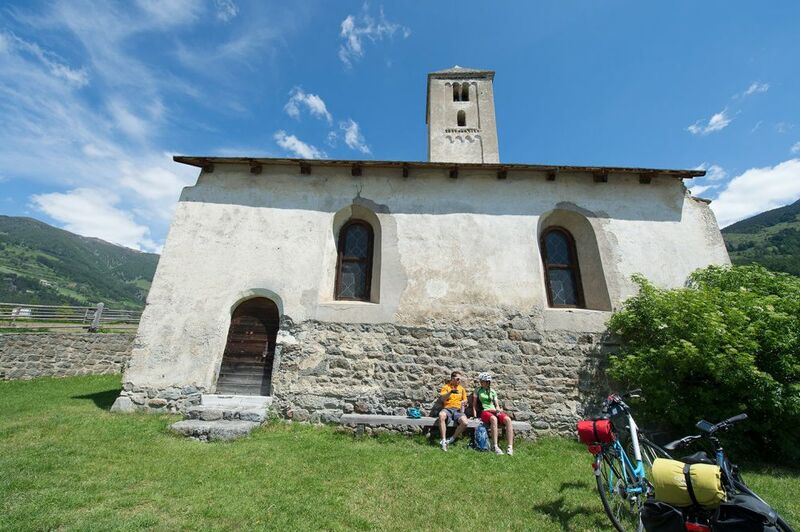 Located right next to the Val Venosta Cycling Trail in Kastelbell-Tschars (Castelbello-Ciardes), we are the ideal base for exploring the surrounding countryside by bike. 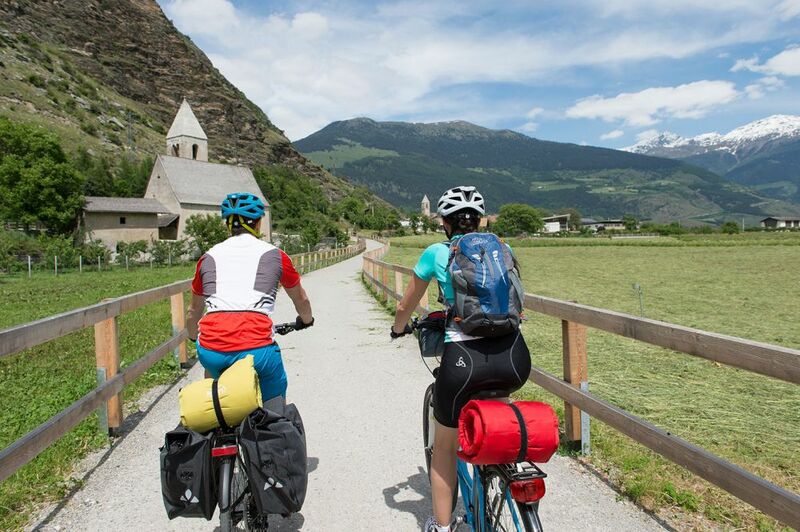 Starting at the Reschensee (Lago di Resia), the famous Etsch (Adige) Cycling Route leads through the Val Venosta and ends in Meran (Merano). 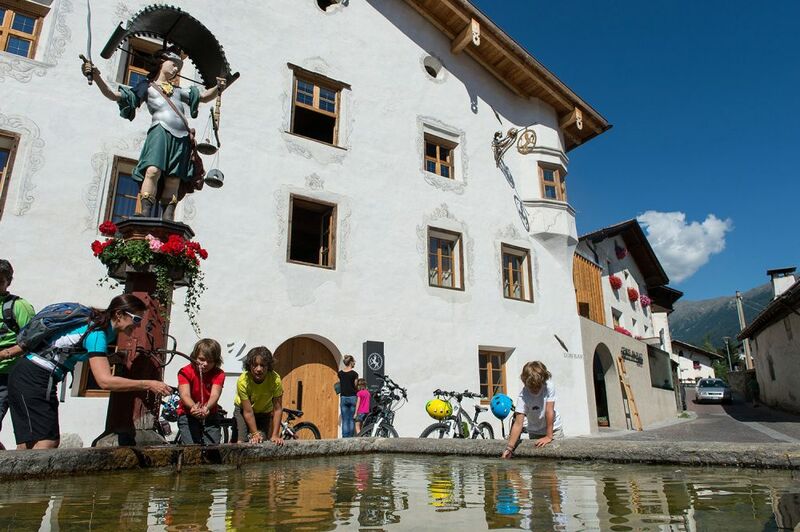 The wide, level valley floor is an idyllic part of South Tyrol and is fabulous for leisurely bikes rides with the family. .
Serious cyclists will also find all their biking needs met in the Val Venosta: Whether you’re on a racing bike or a mountainbike you’ll be impressed by Italy’s highest mountain pass, the Stilferjoch (Passo dello Stelvio) and its curvy, panoramic asphalt road. 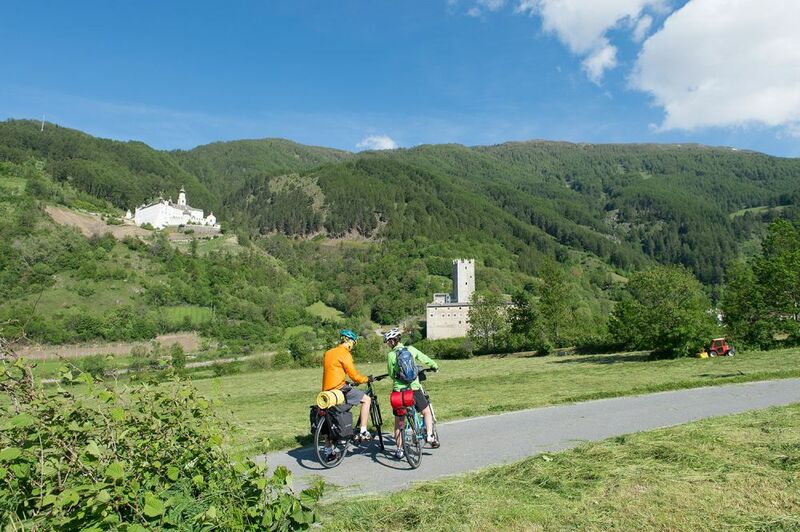 Adrenaline kick: the diverse landscape of the Val Venosta makes off-road biking an exciting experience. Hire a bike and away you go! 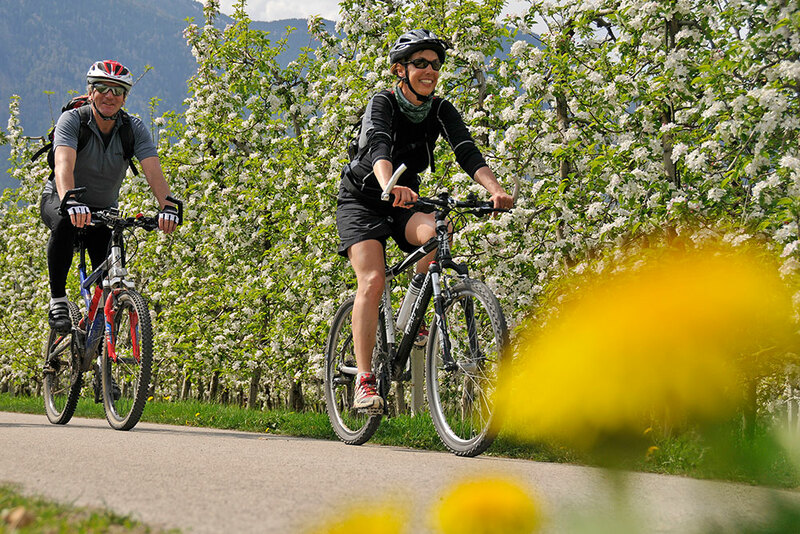 Whether you take your bike or not, the Vinschger Bahn, which runs for 60 km between Meran (Merano) and Mals (Malles Venosta), will take you on a relaxing journey through Val Venosta. The train station is just a few minutes away from our accommodation.